Wednesday, May 1 is the deadline to confirm your offer of admission. Login to your ontariocolleges.ca account to confirm your offer today. If you’re interested in a fast-paced career that offers incredible versatility, a chance to do something new every day, and work in teams to create unforgettable experiences for a range of clients, there has never been a better time to become a special events professional. 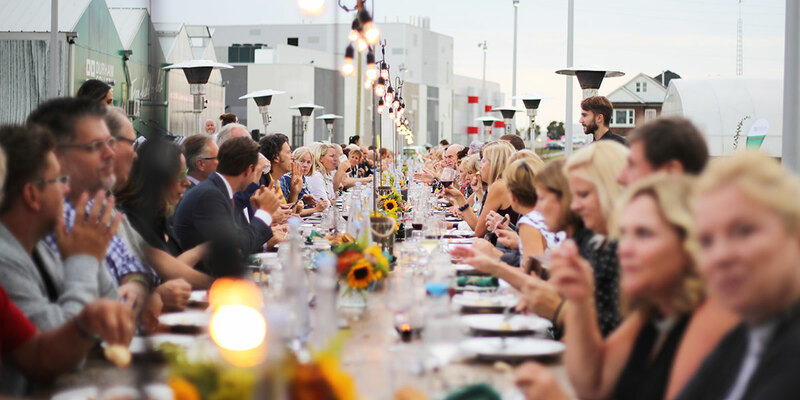 The Special Events Management program will help you develop an eye for detail, a flair for the creative, and a drive for executing a perfectly planned event. The best way to succeed in your field is to immerse yourself in it! Co-op is an excellent way to build your professional network, explore career paths and apply in-class teachings to real work situations. Co-op is a model of education that integrates academic learning with workplace learning in fields relevant to our students’ academic and personal goals. Similar to an academic course, work terms are a mandatory component to this form of experiential learning. Whether you are planning cultural and social events, charitable fundraisers, conventions, festivals, weddings or corporate affairs, this two-year program prepares you for an exciting career in the fast-paced special events industry. You will gain the skills and training required to bring together hospitality, accommodation, culinary and professional services for community, corporate, cultural and social events. You will prepare plans for special events while learning a variety of skills in areas such as marketing, programming, site logistics, sustainability and financial management. Subsequently, you will have the opportunity to apply these plans by executing successful events. The Special Events Management program is offered at the Whitby campus, home of the college's W. Galen Weston Centre for Food. This incredible learning space provides access to state-of-the-art labs, classrooms and meeting spaces. Courses and course descriptions are subject to change. Please note: fees are based on the 2018-2019 academic year and do not include textbooks. For more information please see Other fees to consider. For students completing a field placement, their learning experience will be complemented by an 80-hour field placement opportunity in the fourth semester. Students work at professional tourism, hospitality or event planning environments, applying their skills from the classroom to on the job. Beyond the special events you will plan as part of your studies, students have an opportunity to further their learning beyond the classroom. From student-focused special events, to employment in the W. Galen Weston Centre for Food’s restaurant, Bistro ’67, and community projects, there are countless opportunities to explore. Students in the Special Events Management Diploma program will be invited to apply to the co-op option during their first academic semester. Entrance to the co-op option is limited and the processes for securing a work term are competitive. Students who qualify for co-op will be eligible to complete a four-month, paid work term between the second and third semesters of their program. Supports are available through the Co-op office to assist students with securing their work terms. In addition, the Co-op office is in contact with co-op students and their employers during the work terms to help with any questions. Upon completing the work term, co-op students return to campus to complete their final two academic semesters of the program before graduating. The co-op work term will provide students with work experience in the special events industry. The co-op work term expands students’ learning environment to real work settings where they will be challenged to apply their academic knowledge and then return to campus with a deepened understanding of industry demands and required skills. Once transferred to the co-op option of a program, students will have a co-op administrative fee of $475 assessed to their accounts. The administrative fee goes to support the broad array of support services provided to co-op students. These services are dedicated to supporting student success. Find more information about the benefits of becoming a co-op student. Find more information about the benefits of becoming a co-op employer. Contact International Admissions or call 905.721.2000 ext. 2355.